Noor Inayat Khan – Muslim Museum UK – Uncover the 1400 year relationship between Britain and Islam. Explore the history and heritage of Muslims in Britain. 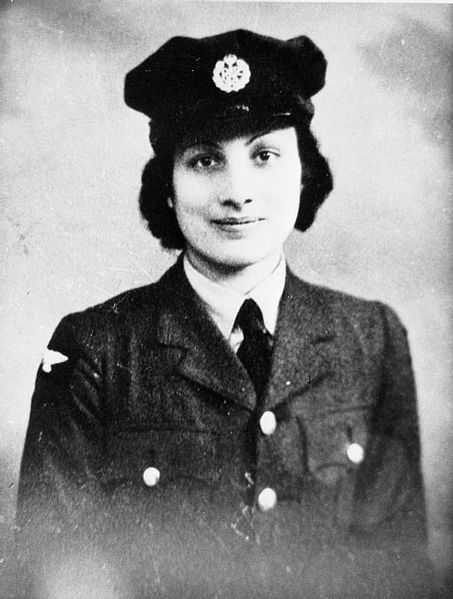 Noor Inayat Khan (2 January 1914 – 13 September 1944). 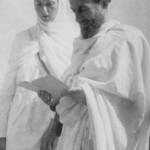 Her father, Hazrat Inayat Khan, was born to nobility and came from a princely Indian Muslim family (his mother was a descendant of the uncle of Tipu Sultan, the 18th-century ruler of the Kingdom of Mysore. In 1914, shortly before the outbreak of the First World War, the family left Russia for London. However, after the death of her father in 1927, the family moved to Paris. After the outbreak of the Second World War, the family fled Paris and landing in Falmouth, Cornwall on 22 June 1940. On 19 November 1940, she joined the Women’s Auxiliary Air Force (WAAF). Later she was recruited to join F (France) Section of the Special Operations Executive and in early February 1943 she was posted to the Air Ministry, Directorate of Air Intelligence. Her fluent French and her competency in wireless operation—coupled with a shortage of experienced agents—made her a desirable candidate for service in Nazi-occupied France. Khan was betrayed and on 13 October 1943 she was arrested and interrogated by the Germans. In the early hours of the morning of 13 September 1944, she was executed. She was 30 years old. Inayat Khan was posthumously awarded a British George Cross and a French Croix de Guerre with Gold Star. The unveiling of the bronze bust of Inayat Khan by HRH the Princess Royal Anne took place on 8 November 2012 in Gordon Square Gardens, London. OLDERMartin Lings – Keeper of oriental manuscripts and printed books.